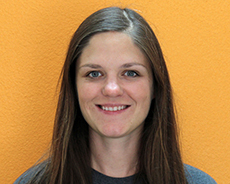 Originally from the Midwest, Sarah has been working with adults and children with disabilities for over twelve years. She began her career in Iowa City, Iowa working with adults and children with disabilities at a residential facility and then later as a Rehabilitation Counselor at Goodwill Industries. Six years ago she and her husband moved from the Midwest to the Bay Area. This is Sarah’s fifth year teaching at Esther B. Clark School. She is passionate about teaching students who have struggled to learn in typical classroom environments.